The Omaha Convention and Visitors Bureau (OCVB) is turning Omaha into a living map, marking top attractions with Giant Push Pins. The goal is to lure more visitors out of their hotel rooms and inspire them to explore the city. "We find hotel visitors are often looking for other entertainment during their stay. This project makes it easy for hotels and tourism ambassadors to point visitors in the right direction. It also makes it easy for visitors to find these locations, all they have to do is look at the map and then look for the 9ft. tall blue push pins,” said OCVB Executive Director Dana Markel. 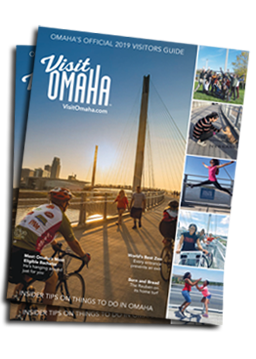 Specially designed maps and promotional materials will be available at Omaha hotels, attractions, the airport and at the Omaha Visitor Information Center at 10th and Farnam. The City Parks department and Heartland Scenic Studio are installing the Giant Push Pins at 15 locations. All locations offer something that is uniquely Omaha, appeal to a wide range of tastes and are open regular hours during the week, making it convenient for visitors year round to create their own itinerary. Installation will be complete before the College World Series. The Giant Push Pins will remain up through the summer of 2009. This project has involved incredible cooperation with all the partners listed below and would not have been possible without their enthusiasm.